IT’S BETTER FOR YOUR SKIN THAN EVEN THE BEST OLIVE OIL. Transform your skin and hair with this antioxidant-rich oil. It’s incredibly rare and it comes from one of the oldest crops in the world and one of the healthiest foods for your body. When high quality versions of this oil are released to the public, they disappear fast! If you want a bottle, act quickly and scroll down. Don’t end up on the waiting list like so many others! Grab a bottle of this special oil while you still can! Nourish and protect your skin while restoring a naturally clean, clear and youthful look to your hair and face. RUB THIS OIL INTO YOUR HAIR, ONTO YOUR SKIN OR PLACE A FEW DROPS UNDER YOUR TONGUE BEFORE FALLING ASLEEP. An oil you can add to your food or rub into your hair? A hydrating oil for your skin that's also one of the healthiest superfoods you can eat in the entire world? Each bottle of this rare and edible skincare oil is pressed from thousands of organic amaranth seeds. 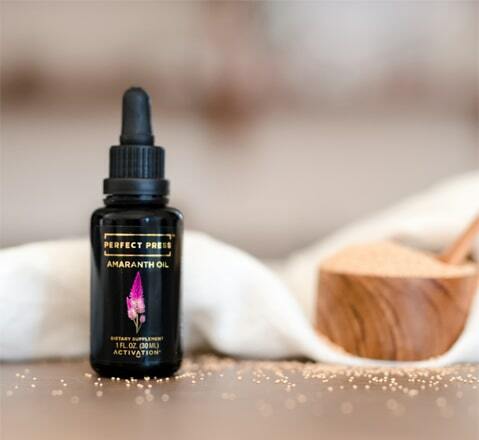 Amaranth is one of the oldest crops in the world and known in the health community as an ancient beauty remedy with powerful benefits for your skin, hair and longevity. Use it to look beautiful on the outside and reinforce your organ health on the inside. 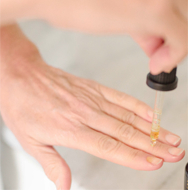 This oil supports heart health and restores youth and radiance to skin. This incredible oil can also increase your energy, promote joint mobility, encourage healthy liver function, fight graying hair and support a strong immune system, speeding healing and preventing scarring. Try a few bottles now for up to $45 off, plus get our skin and hair care guide (including recipes) absolutely free with your order (a $9.95 value). How many skin care products do you put on your skin that you would NEVER eat? Experts say that your skin absorbs as much as 60% of the chemicals that you rub into it, so most of the cosmetic products you use wind up in your body no matter what. 100% pure amaranth oil is not only safe to use on the outside of your body, it also has powerful benefits when you take it internally. A few drops under the tongue can support a healthy heart, boost elasticity in skin and protect the color and thickness of your hair. One of the main reasons amaranth oil is so healthy is because of the many powerful antioxidants it contains. One of those antioxidants is squalene. Squalene has such powerful health benefits that in ancient Japan they called it “Warrior’s Blood”. Back then, they squeezed this healthy antioxidant out of shark livers. Today, we squeeze squalene out of amaranth seeds. Not only is it a cruelty-free way to get this powerful antioxidant, it’s also the best way. Amaranth seeds are one of the richest plant sources of squalene in nature. 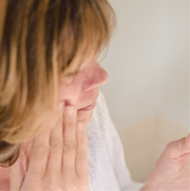 Dry skin happens because our oil glands “dry up” as we get older. Squalene is responsible for maintaining moisture levels in your skin. 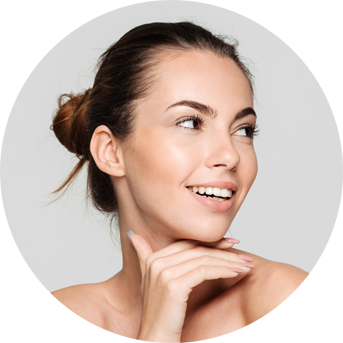 Loose skin, thin skin and easily bruised skin all happen in part because we lose elasticity in our skin as we age. Our own livers produce this miracle antioxidant in abundance until about age 30 but then production of it slows down. Your liver stops making enough to sustain healthy skin and hair. Your skin wrinkles, gets dry and sags. It's one of the many reasons why we appear to age so rapidly after 30. If you can get more of this antioxidant externally, it will have an immensely positive effect on the look and feel of your skin and hair. That’s why this oil is so powerful. Use it externally on your hair and roots, and watch your dry brittle hair become revitalized with strength and shine! Massage this oil into wet hair. Wear a shower cap and let the oil soak in for a few minutes. Then, shampoo it out. You can also add this oil to a natural shampoo or conditioner. 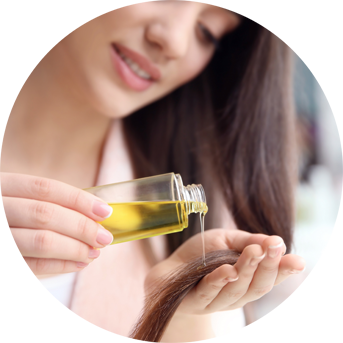 Nutrients in this oil are said to promote thicker hair growth, protect hair color and moisturize hair follicles. It could help you keep the color of your hair for years to come by fighting back against the oxidative stress that hydrogen peroxide build-up causes in your hair follicles. Antioxidants in this oil can also support healthy hormonal balance. 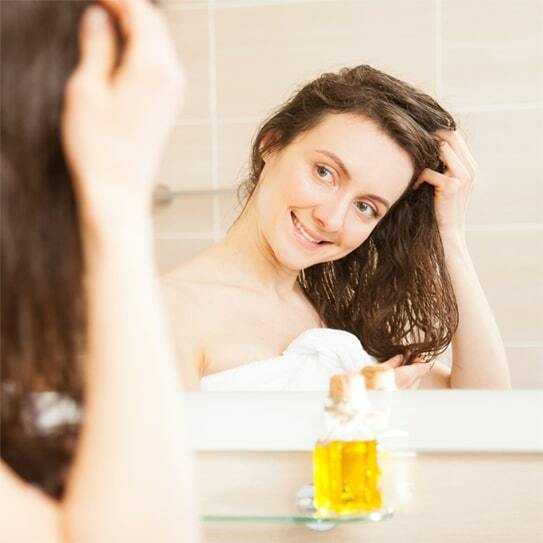 Hormones such as estrogen, testosterone and vitamin D can affect hair growth and thinning. Eating amaranth or putting the oil in your smoothies and salad dressings will beautify your skin and hair from the inside out, but you can also use it topically for added immediate results. Gently massage the oil into your face or apply to dry areas as needed. It will soak into your skin quickly. Your skin will absorb the oil and benefit from its nutrients. Amaranth oil moisturizes and leaves you with a healthy glow. Many people who suffer from dry skin conditions use this oil as a natural remedy! You can also enjoy huge amaranth oil benefits simply by drinking it. Boost your skin’s production of collagen, lowering your risk of wrinkles. Improve your skin's natural moisture, protecting your skin from cracking or feeling dry/ashy. Enhance your ability to metabolize fat, helping you increase chances of weight loss. Protect cellular health, supporting slow and healthy aging. Support a healthy heart, for good circulation and cardiovascular function. Place a few drops under your tongue before bed each night and swallow. When you wake in the morning you will be amazed by how good you feel and how good your skin looks. Symptoms of oxidative stress include fatigue, excess inflammation, occasional inability to sleep or focus, headaches, a compromised immune system, memory loss and more. The powerful antioxidants in amaranth help your body to battle the free radicals that can cause oxidative stress. Amaranth seeds (the seed that this oil is pressed from) contain one of the most important nutrients for your eyes — lutein. This nutrient protects the mucous membrane in your eyes and helps protect your vision. Amaranth is loaded with powerful antioxidants that help your body to eliminate damaged cells that can weaken immune system function. 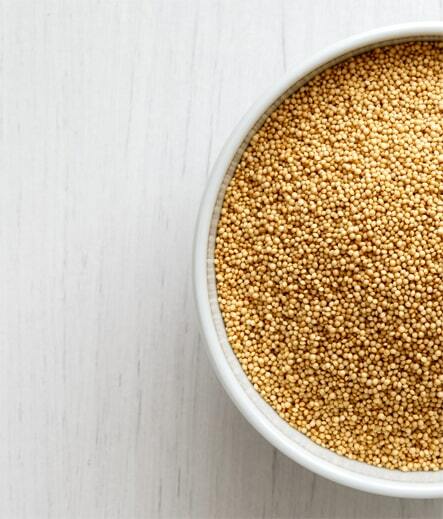 Thanks to significant antioxidant amounts, amaranth helps support a healthy inflammation response throughout your body, keeping your heart healthy and your blood pressure balanced. We now have a way to concentrate the natural squalene and overall antioxidant potency of amaranth. 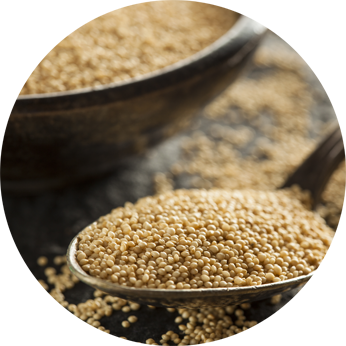 Amaranth seeds are usually eaten whole — but to maximize your intake of squalene and the vitamins found in amaranth, you need to isolate the oil. 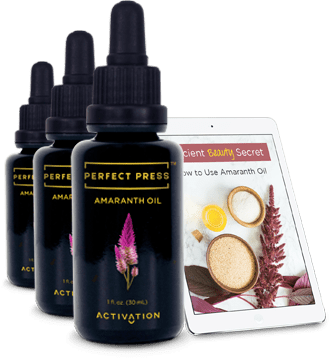 The pure amaranth oil you’ll find below is pressed from large quantities of amaranth grain — far more than you could ever eat whole. Every bottle contains the oil of thousands of Perfectly Pressed™ organic seeds. Our special pressing process ensures that there is no damage to the oil. The finished product is stored in UV-protective Miron glass bottles to maintain quality over time. The only problem, up until now, is that amaranth has been very challenging to press because the delicate essential properties of the oil were being damaged. We pushed our proprietary pressing technology to the maximum in order to press our Amaranth Oil perfectly. 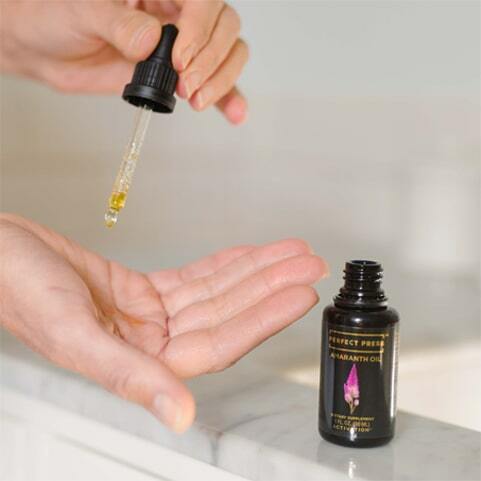 It took several years and multiple stages of research and development to enable the pressing of pure, raw amaranth oil. This is Unlike Any Other Oil in the World. I bought this Amaranth oil after a friend recommended it. It could possibly be the best health investment I have ever made![...] I use it on the lines on my face and can tell a big difference, I also had a painful fever blister starting on my lip which never formed after using this oil on it. I have to tell you I LOVE the skin oils you suggested [amaranth and black cumin] LOVE LOVE!!! I just ordered some more and also some pumpkin seed to try…This oil subject is very interesting and I hope by learning more myself I can share the joy with others. My daughter actually said something about my skin looking younger the other day. 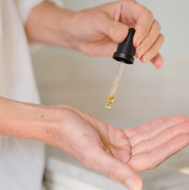 In any case, true or not, the oils feel wonderful and I enjoy this as much as anything – a blissful moment of the day! Thanks again for your marvelous products. There’s never been a better time than now to start nourishing, protecting and loving your skin with oil! Even though these bottles are on sale, you’re still completely covered by our 60‑day money‑back guarantee. 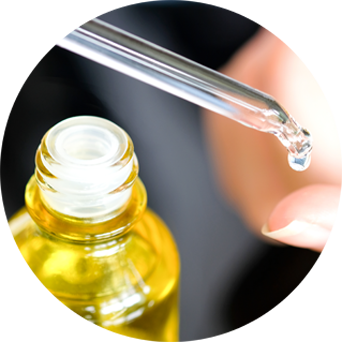 Perfect Press really is the best oil in the world, which is why we allow you to try it risk-free for two months. If you don’t absolutely love it, we’ll refund you the full price of every bottle you pay for. 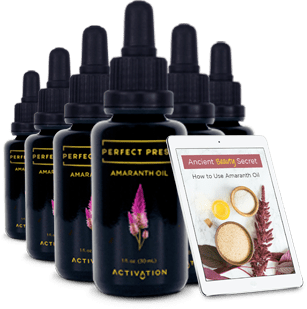 How is Perfect Press™ Amaranth Oil made? 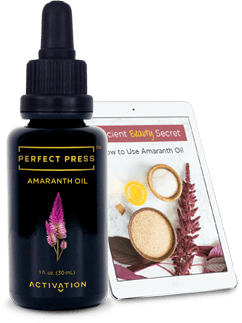 Perfect Press Amaranth Oil is one of the best seed oils available in the world. 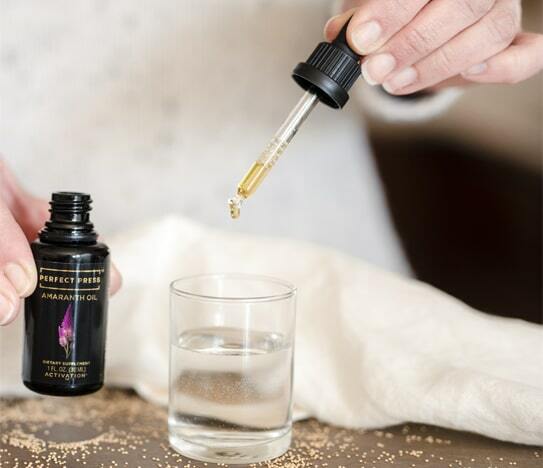 Perfectly Pressed™ from thousands of organic amaranth seeds, each drop of oil is extracted without the use of heat, meaning that there is absolutely no damage to its nutritional properties. After that it is bottled. We add absolutely nothing artificial. How much should I take? How long will a bottle last? Each bottle comes with a dropper attached to the lid. Take one dropperful, under the tongue, with some food or in a drink/smoothie each day. If taken in this way, one bottle will last roughly 30 days. Remember, this is a powerful oil and everyone is different. We always recommend trying a small amount to see how your body reacts before increasing the amount. Perfect Press Amaranth Oil has a light, earthy taste. If you love the taste like we do, take a dropperful straight under your tongue. Otherwise, you can add it to some food or water. Many people also put Perfect Press Amaranth Oil on their skin. It’s great for blemishes, pimples and other skin issues (always spot test first to see how your skin reacts). Can I cook with it? We don’t recommend cooking with Amaranth Oil as it is a raw seed oil and heat may damage some of its nutritional components. What many customers love to do is add Amaranth Oil to food after it’s been cooked. You can also add it to a smoothie, juice or a salad – anything not too hot! What if I don’t like Perfect Press™ Amaranth Oil? While most people LOVE Amaranth Oil, if you don’t — that’s okay. As always you are completely covered by our 60-day money back guarantee. Try a few bottles now for up to $45 off, plus get our skin & hair care guide completely free with your order (an additional $9.95 value). You’ll be emailed this guide immediately after you complete your order. Start getting excited for all the different ways you can use this amazing beauty oil and select your package above! Remember, if you don’t absolutely love the oil, we will refund your entire purchase. No risk, no hassle.